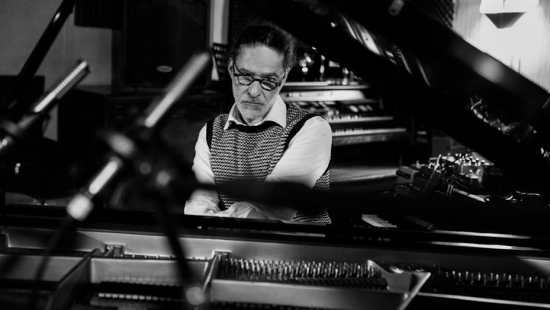 Born in Paris with family roots in Guadeloupe, pianist-composer Jean-Baptiste Ferré cites Bill Evans, Herbie Hancock, Keith Jarrett and Brad Mehldau as major influences, although his playing is unlike any of his idols. Ferré entered the conservatory at age six and also drew on the musical mélange of the eclectic Paris bar and club scene. Ferré’s collaborations include Orchestre National De Barbès, Raï Kum, Idir (El Hamid Cheriet), Rido Bayonne and His Afro-Jazz Big Band, and Paris-based Algerian double-bassist Michel Benita (the latter has worked with such luminaries as Horace Parlan, Enrico Rava, Dino Saluzzi, Archie Shepp and Bobo Stenson). 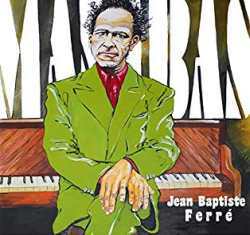 Benita joins Ferré on Mambas, the pianist’s solo debut. The repertoire and additional instrumentation (oud, kanun, double bass, percussion) owe as much to the traditions of Andalusia and the Maghreb as they do jazz improvisation. Some listeners will hear café raï-rock-rhumba echoes reminiscent of Algerian Jewish pianist Maurice el Medioni or the châabi stylings of pianist-composer Karim Maurice and Koum Tara. French-Moroccan singer Naab injects a funky popular element on three songs (sung in English) that stand apart from the rest of the recording. The opener, “Samba Bancale,” presents singer Sophie Charbit with a dynamic polyrhythmic frame for her soprano scatting, playing off Ferré’s percussive keyboard attack. “Liken” reveals a kinship with flamenco in the approach of Tunisian oudist Smadj, while on “La Mamba” he explores Maghrebi territory, countering the pianist’s angular voicings.